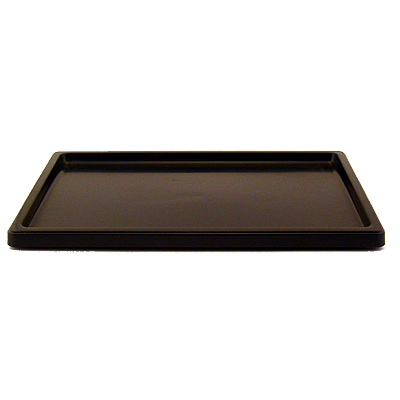 Description: These BLACK rectangular bonsai humidity trays are built of a sturdy polymer. Sides fall flush to the table. Our favorite trays. If you wish to use natural colored gravel, part number "GRAVEL1Q" is suitible for this size tray. Requires approximatley 1 quart (32 ounces) of humidity stones.